As someone who has illegible hand writing, learning how to use PDF programs has been so useful! To me, it is the difference of never having to stand over someone’s shoulder to translate the scribbles I made on their application form. Instead I can fill out a form from my computer, making it universally easy to read, professional and grammatically correct. People notice my work for the right reasons saying, “wow, that is easy to read”, rather than for the more embarrassing reason of how difficult to read my hand writing is. When I try to write, I sometimes forget words, punctuation and make frequent spelling errors, and correcting all those mistakes ends up making forms vary mssy very messy. If PDFs are made the right way, they allow users to fill in necessary information, edit and proof without making a mess. The number one reason I care enough to make my own PDF forms is for the spell check. People really judge you if you use incorrect spelling. Also, the abillity to erase, save, copy/paste and use a dictation program such as Dragon Naturally Speaking. 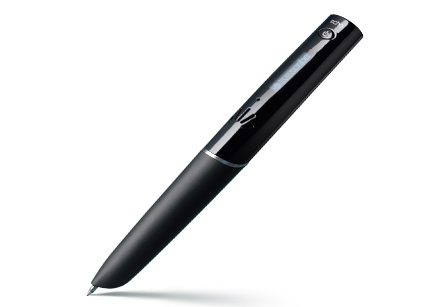 Dictation programs are great for eliminating contextual errors, like writing “right”, instead of “write”. Another technique I use is employing the use of a text-to-speech program so that I can listen to my own writing, spoken by the computer, which helps me improve my paper further. A typical example would be to listen and find pronouns that I forgot to put in, e.g. “going the store”, where I meant to say, “going to the store”. 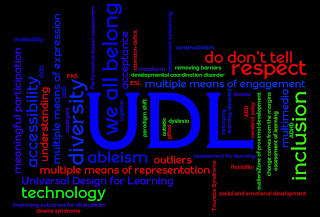 The goal of the UDL at UVM grant is provide resources to incorporate Universal Design principles in to UVM courses. One place on campus to find help making accessible material is the UDTL. The Universal Design Technology Lab (Bailey Howe Library on the 2nd Floor, Monday-Friday 8am-4:00pm, 802-656-5537). The Universal Design Technology Lab (UDTL) specializes in assistive technologies that help with reading, writing, studying and information access. Also don’t be shy, ask for another format when you are given a form that is difficult to fill out. If you are making a form please make it accessible and don’t be afraid to ask for help and for feedback. The rough guide starts here, you will need have intermediate understanding of personal information laws, scanning, OCR text recognition, general computer accessibility and adobe acrobat professional in you mental tool belt to get the most out of it, but I encourage all of you to read through it. Print the form and mail it in. What are PDF? Portable Document Format were developed by Adobe in 1993, the format is designed work on any computer with any operating system. It can read-documents out loud, provide text equivalents for pictures and accept computer typing into documents while providing a level of security similar to a printed and hand written legal document. It has become a very popular format for medical, corporate and government offices which have set up paperless system. I have even heard about how some doctors offices will higher a company to use machines to open and scan all their mail into PDFs because they are flooded with insurance claim documentation. “PDF Accessibility”. WebAIM. http://www.webaim.org/techniques/acrobat/. Retrieved 2010-04-24. Joe Clark (2005-08-22). “Facts and Opinions About PDF Accessibility”. http://www.alistapart.com/articles/pdf_accessibility. Retrieved 2010-04-24. “Accessibility and PDF documents”. Web Accessibility Center. http://wac.osu.edu/pdf/. Retrieved 2010-04-24. “PDF Accessibility Standards v1.2”. http://www.bbc.co.uk/guidelines/futuremedia/accessibility/accessible_pdf.shtml. Retrieved 2010-04-24. “Adobe Reader 8 – Read a PDF with Read Out Loud”. http://help.adobe.com/en_US/Reader/8.0/help.html?content=WS58a04a822e3e50102bd615109794195ff-7d15.html. Retrieved 2010-04-24. “Tip of the Week: Adobe Reader’s ‘Read Aloud’ Feature”. http://gadgetwise.blogs.nytimes.com/2009/04/10/tip-of-the-week-adobe-readers-read-aloud-feature/. Retrieved 2010-04-24. Chris Rusbridge (2008-04-29). “Why PDF is a Hamburger”. http://wwmm.ch.cam.ac.uk/blogs/murrayrust/?p=1056. Retrieved 2010-04-24. PDF’s are so universal, but at times feel like they are locked in a proprietary format.